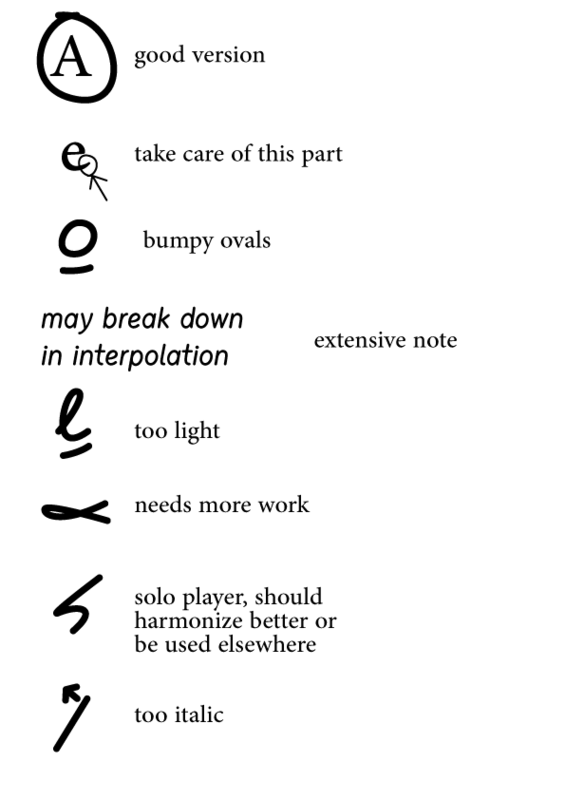 I would like us to share our personal notation marks for correction of specimens. 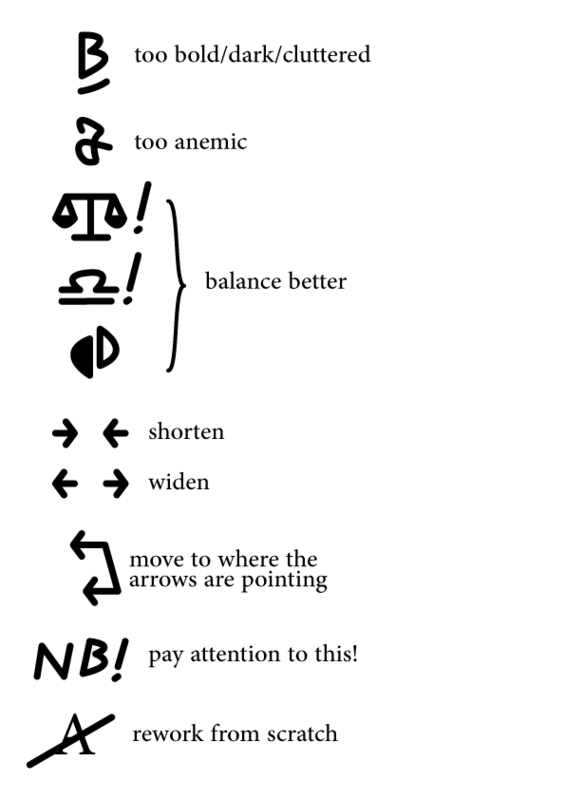 I just circle glyphs/parts of glyphs that look off, and if I can't tell what was off about them when I review my notes, apparantly it's not an issue. Otherwise, I use extensive notes for any specific comments.